Be the first to share your favorite memory, photo or story of Wilburn. This memorial page is dedicated for family, friends and future generations to celebrate the life of their loved one. Born in Dizney, Harlan Co., KY to the late John Ransom Jones and the late Annie Mae Satterfield. He is preceded in death by his wife of 43 years Helen Joyce Presley Jones in 2007 and a great grandson Liam Keith Jones in 2018. Survivors include children Kim Jones Dean and husband Darrell, Keith Jones and wife Tina. Grandchildren Makayla Dean, Kaitlyn Jones and boyfriend Josh Swader, Austin Jones and wife Cynthia, Ronnie Bogard and wife Thelma, Christina Bogard, and a great grandson, Aiden Keith Jones, due in April. Other survivors include a brother Ransom Curtis Jones and sister Belvia Ann Jones along with a host of nieces, nephews, family and friends, including a special friend Callie. Visitation will be Friday, January 18, 2019 from 11 AM until time of service at 1 PM at Vorhis & Ryan Funeral Home, 5501 Montgomery Rd., Norwood, Ohio 45212. Graveside services and interment will follow at Greenlawn Cemetery, Milford, OH. In lieu of flowers, donations may be made to the American Heart Association (5211 Madison Road, Cincinnati, OH 45227), American Cancer Society (2808 Reading Road, Cincinnati, OH 45206), or a charity of your choice. Wil worked at C.J. Krehbiel Printing Company from 1965 until his retirement December 2003. 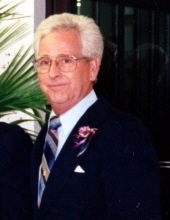 He enjoyed listening to blue grass music, going to blue grass festivals and was an avid Kentucky Wildcats fan. To send flowers or a remembrance gift to the family of Wilburn Boyd Jones, please visit our Tribute Store. "Email Address" would like to share the life celebration of Wilburn Boyd Jones. Click on the "link" to go to share a favorite memory or leave a condolence message for the family.